 The Arc San Francisco is a lifelong learning and achievement center for over 700 individuals with developmental disabilities in San Francisco, San Mateo and Marin counties. See The Arc SF Viewbook here. Accredited by CARF, the Commission on Accreditation of Rehabilitation Facilities. CARF International is an independent, nonprofit accreditor of health and human services in the following areas: Aging Services, Behavioral Health.